Two periods of sparse gobbling each spring worry some North Carolina hunters, but one expert offers tips to tag a wild turkey. Being enraptured by the pursuit of wild turkeys is akin to enslavement by alcohol, cocaine, tobacco, gambling, golf or strange women. The main advantage turkey hunting has over these other activities is it isn't quite as hurtful to the pocketbook, although with the price of gasoline lifting off like a Saturn V rocket, it might put a ballpark-figure dent in one's pocketbook. Other benefits are that if successful, a gobbler chaser's reputation will soar among his buddies, plus, a wild bird provides an unmatched feast for the palate compared to bland, grocery-store-bought butterballs. Pesky work, illness or family responsibilities might force a halt to a turkey hunter's activities, but if he or she gives in to temptation, he'll never climb back on the wagon. And without some major outside influence keeping a gobbler chaser out of the woods, there's little hope of (pun intended) going cold turkey. North Carolina hunters almost can't be blamed. In recent years, the Old North State has fairly crawled with wild birds from border to border. Even though early settlers had plenty of birds to occupy the Thanksgiving table, wild birds were almost eradicated by 1970, when the statewide flock had dropped to 2,000 birds. That's when the N.C. Wildlife Resources Commission hired West Virginia's Wayne Bailey as its first turkey biologist to handle efforts to rejuvenate the turkey flock. He started the ball rolling with live-trapping and relocation efforts, instituted a spring gobblers-only season, then retired, turning the reins over to other biologists. The Commission biologist expert who handled the nuts and bolts of turkey restoration work was Mike Seamster, a Caswell County native who had worked with Bailey for many years. Seamster, who retired in the middle of the last decade, managed to kill his share of gobblers, especially since he worked at the turkey-rich Caswell Game Lands. It would be difficult to find a person more knowledgeable about hunting these birds. Seamster's fertile brain and uncanny memory offered some insights regarding mid- to late-season hunting tactics for the avian that Ben Franklin wanted named our national bird ahead of the bald eagle, which he called "a Bird of bad moral character" and "generally poor and often very lousy." As for the wild turkey, ol' Ben said "... the turkey is in Comparison a much more respectable Bird...a Bird of courage." Here are some of Seamster's tips to help hunters bag the wariest and noblest of American game birds. Many turkey hunters complain about a lull in the spring season when male birds stop gobbling. Seamster explained the biological factors that cause hush-mouth disease and noted why the North Carolina turkey season extends from the second Saturday in April to the second Saturday in May - often to the dismay of many hunters who, because of their affliction, suffer withdrawal pains when gobblers fall silent. "Hunters basically want turkeys to be gobbling when the season opens, but (gobbling) basically goes back to the biology of turkeys," he said. 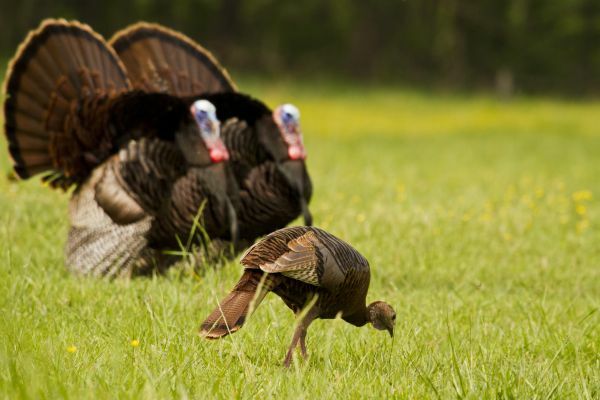 "Gobblers start getting receptive when their testosterone rises; then they start gobbling." Seamster said longer daylight hours trigger male turkeys' hormones in somewhat the same way that shorter daylight hours make a whitetail buck start thinking about girlfriends. "This typically starts before hens are ready to breed (in late March)," he said. "But this period varies, depending on where you're at - the farther north, the later the first gobbling begins; the farther south, the earlier gobbling occurs." In any case, Seamster said "there are two peaks in gobbling." Male birds gobble increasingly as daylight stretches, but hens really aren't receptive until mid-April. Why do male birds gobble? To attract hens to their roost trees. During March and early April however, hens usually ignore gobbling. But when they're ready to mate, hens come from all directions to a tom yelling "Here I am, girls" from a tree-limb perch. Why do hunters like gobbling? Because it tells them a gobbler's location. But when hens gather at daylight around a gobbler's tree, he'll fly down, hush up and wander off with his harem and ignore calls by hunters. "This lull period may last a week or two," Seamster said. The hunter who tries to call to such a bird may get occasional responses, but a gobbler rarely leaves real hens for a "bird in the bush" he can't see. "You're about wasting your time to call to a gobbler in the morning when hens go to him," Seamster said. But once the breeding period ends and hens make nests and lay eggs, they're done with gobblers. And gobblers, who can see and hear as well as any wild creature, don't gobble much if no hens come to them. "Hunters think with no gobbling things are bad, but it's just the opposite," Seamster said. "That's when a gobbler is likely to respond to a call because he's looking for unbred hens. He might gobble at a call once or twice or walk in silent." The second lull occurs when hens are nesting. "That's when gobblers gobble once or twice at daylight, then hush, but they'll start gobbling again, maybe one or two times, starting at 10 or 10:30 a.m. Then you might hear a gobble or two at 1 or 2 in the afternoon or later," Seamster said. "As hens come to him up in the day, he shuts up again. This is the second lull." 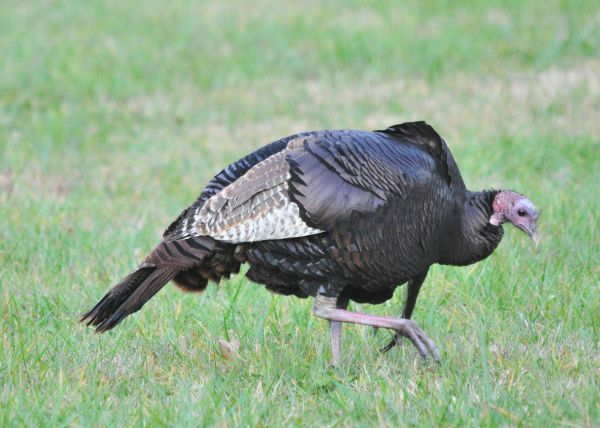 Seamster said one problem from mid-April to the second Saturday in May is most of the "jakes" (year-old gobblers) probably have been killed by then "and the old birds, even the jakes who survived, are more wary and won't come to calls as much." "The main thing is patience," he said. "If you don't hear any gobblers at daylight to 9 a.m. or so, stay in the woods. 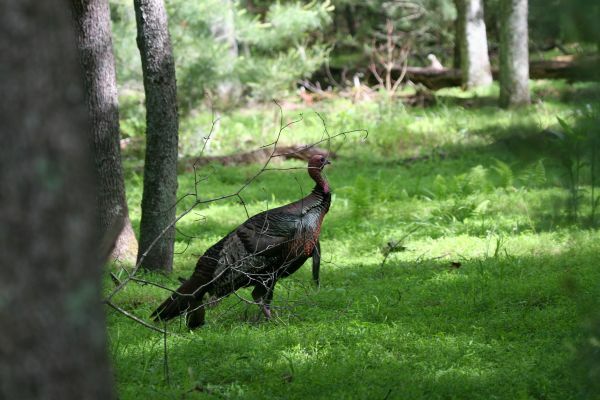 You're liable to hear a gobbler at mid-morning or even in the afternoon. If it's the lull period, they'll leave hens or the hens will have left them at some point. Then, you got a chance." One of Seamster's favorite tactics is to locate a gobbler that's calling hens to his tree, sneak in close, set up and yelp or purr a couple times, then stop calling. "Sometimes he might gobble, then up in the morning, say 10:30, he might come to where he heard you call at daylight, looking for that hen he heard," Seamster said. "You can even eat lunch, then go back and call a time or two, and he might answer. This happens a lot, even after hunting season ends." Seamster said once during late June he was working on the Caswell Game Lands when he heard a gobbler across the road. "I was near the old field-trial barn one afternoon just off Burton Chapel Road," he said. "I had a diaphragm (call) in my truck and called, and he came out on the edge of the highway, looking for the hen - during June." Seamster said he's killed a lot of birds late in the season and up in the morning. "If he gobbled good late on roost and flew down, I often come back at 11 a.m.," he said. "He's liable to gobble late in the season at any time." Late in the season, Seamster is careful not to overcall. "I think it's a good idea to be subtle in calling - call less," he said. "It's especially important at game lands because turkeys usually have been pressured." Once he was hunting on on the game lands when he heard a bird gobble; he went toward the turkey. "He'd only gobbled a couple times on the roost," Seamster said. "I slipped in on an old branch bottom, sat down and about the time I got my call out of my pocket, somebody else called; someone also heard him and got in there about 150 yards from me." Seamster said the other hunter used every call at his command: box calls, slate calls and a mouth call. The tom turkey never answered. "After 45 minutes, the guy got up and left," he said. "I sat for another 35 or 40 minutes and started to get up and leave too, but I clucked twice on a slate call, and he gobbled. I barely heard him." Seamster put away his call and began scratching in the leaves, mimicking feeding turkeys. "After 20 minutes I saw him," he said. "He'd take a step, look, scratch, then do that all over again." It took 1½ hours for the turkey to close the distance before Seamster downed the boss bird with one shot to the neck at 30 yards. "Patience kills a lot of turkeys," he said. "I just shut up. I learned that from Wayne Bailey. Curiosity killed the cat, and if a gobbler doesn't have a hen with him, it'll get him, too." Seamster said aggressive calling is sometimes the right tactic, but more often, soft, infrequent calls do the trick. "If you're calling a lot, he knows a hen's out there, and she's supposed to come to him," he said. "But if he doesn't hear her for a while, he's wondering 'Has another gobbler come in and got that hen?' Then he goes lookin' for her, and that's when you can kill him." In 2011, Seamster set up at a clover patch and heard a gobbler fly off the roost. "Then I heard a lot of yelping, so I knew a hen went to him, and he shut up," he said. "He walked off with her. I clucked once or twice and was tempted to call a lot because he gobbled a few times, but I said, 'No, I'm gonna let him go on.' "
Seamster soon got comfortable leaning against a tree and fell asleep. "I was dozing, looked up, and he was strutting in my decoys," he said. "It was 10:20, and I hadn't called in 2½ hours." Replicas made of flexible rubber-plastic or hard, anatomically-correct/perfectly-painted replicas of hens, jakes or gobblers sometimes work - but sometimes they don't. "It depends," Seamster said. "I've used 'em a lot and killed turkeys with 'em. But I've had turkeys coming to me, and when they saw the decoy, they shut up and turned away. I even had one fly off when he saw my decoy. I think these turkeys got shot at in the past when they came to decoys, so they were spooked by 'em." Seamster said he bought a full-strut decoy of hard plastic and stuck real turkey tail feathers in it. "I've had gobblers charge it, run straight across the field to it," he said. "But I don't know how many slinked away, thinking 'That's the boss gobbler, and he'll kick my tail if I go over there.' So they work at times, and some times, they don't." If he's going to stay at one spot at a field edge, Seamster uses decoys, but if he's in the woods and a gobbler sounds off 100 yards away, Seamster doesn't like decoys "because I might be taking time to set them up, and he might see me." So take a clue from Mike Seamster and call less, stay longer, be patient and maybe even take a catnap. Just don't snore.